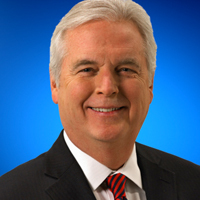 Rick Albin is the political reporter for 24 Hour News 8 and has been associated with WOOD-TV since the mid-90s. He has been involved in broadcasting since he began working at his hometown radio station while still in high school and has covered politics on the radio and on television in five states, and has interviewed every U.S. president since President Gerald R. Ford. Rick has participated in numerous candidate debates, including a primary debate for presidential candidates and numerous gubernatorial debates. His town hall meetings, first with Gov. Jennifer Granholm and now Gov. Rick Snyder, have become regular occurrences as the state chief executives discuss the challenges Michigan faces and potential solutions. Rick is also the host of “To The Point,” a show that examines issues and elections that impact the state and the nation. In more than 10 years on the air with “To The Point,” Rick has interviewed hundreds of local and national political figures. 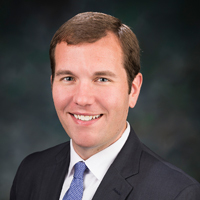 Andrew Brisbo was recently appointed by Gov. Gretchen Whitmer to lead the newly-created Marijuana Regulatory Agency, the successor to the Bureau of Marijuana Regulation (BMR). BMR was created in 2017 to implement the Medical Marihuana Facilities Licensing Act and Marihuana Tracking Act and oversee Michigan’s existing medical marihuana registry card program under the Michigan Medical Marihuana Act. The agency is also responsible for implementing the regulatory program enacted under the Michigan Regulation and Taxation of Marihuana Act. BMR’s mission is to establish Michigan as the national model for a regulatory program that stimulates business growth while preserving safe consumer access to marijuana. 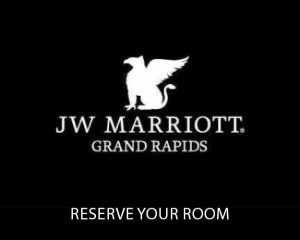 Andrew is the director of BMR and has been in licensing and regulation with the State of Michigan since 2004, including experience with the Michigan Gaming Control Board, Department of State and occupational and health professional licensing in LARA. 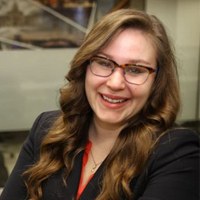 Emily Lawler is the lead reporter for MLive’s Public Interest Team. She joined MLive on the political beat in 2014, and before that reported on the Senate and administration for Lansing-based MIRS News. She appears on WKAR’s Off The Record. 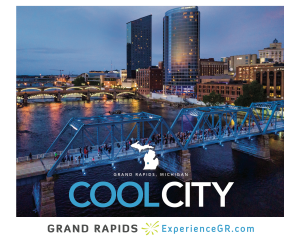 A graduate of Michigan State University, she lives in Lansing and enjoys bicycling around the state. Steve Newberry serves America’s broadcasters as Executive Vice President, Industry Affairs and Strategic Planning for the National Association of Broadcasters. Based in Washington, DC, NAB is the premiere trade organization representing America’s radio and television stations and television networks. Steve began his career as a broadcaster at the age of 14 and owned his first radio station at 21. He eventually co-founded and led Commonwealth Broadcasting Corporation; a radio broadcast group with facilities throughout his home state of Kentucky. It was during his years with Commonwealth he first became engaged with the National Association of Broadcasters as an active member. 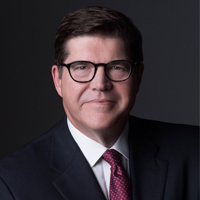 As an NAB board member, Steve served as Radio Board Chair, NABPAC Chair, and was eventually twice elected to lead America’s broadcasters as the Joint Board Chairman of the National Association of Broadcasters. He chaired the Authority for Kentucky Educational Television (KET) for five years and served two terms as a member of the national board of trustees of America’s Public Television Stations (APTS). Steve is a past-president of the Kentucky Broadcasters Association (1993) and is a member of the KBA Hall of Fame. He received their Distinguished Kentuckian Award in 2009. He previously served on the board of directors of Broadcast Music, Inc. (BMI) and as a member of the Radio Advertising Bureau (RAB) executive committee. He is a member of the International Broadcasters Idea Bank and was the named the 2013 Outstanding Alumnus from the University of Kentucky College of Communications and Information. He received his BA in telecommunications from the University of Kentucky. Tim Skubick is the longest serving state capitol correspondent in state history with 50 years of covering state government and politics. 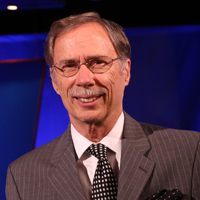 He anchors the weekly Michigan Public TV series Off the Record, now it is 47th year. Skubick also covers the capitol for WJBK-TV-2 and WWJ News Radio 950 in Detroit, WLNS-TV NEWS in Lansing and writes for the MIRS Newsletter. He is a member of the Michigan Journalism and Broadcast Halls of Fame and has received 5 Emmy’s for his WKAR-TV coverage. Tim holds both BA and MA degrees from MSU and has written two books on Michigan politics. 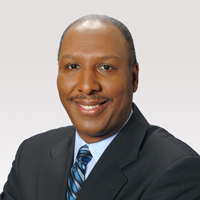 Chuck Stokes is the editorial/public affairs director for WXYZ-TV/Channel 7 in Detroit, Michigan. Additionally, he serves as moderator and producer of Spotlight on the News, Michigan’s longest-running weekly news and public affairs show created in 1965.